Pumped! Wonderful 1:23 video (but then again you all know that like you, over the top with today’s excitement. 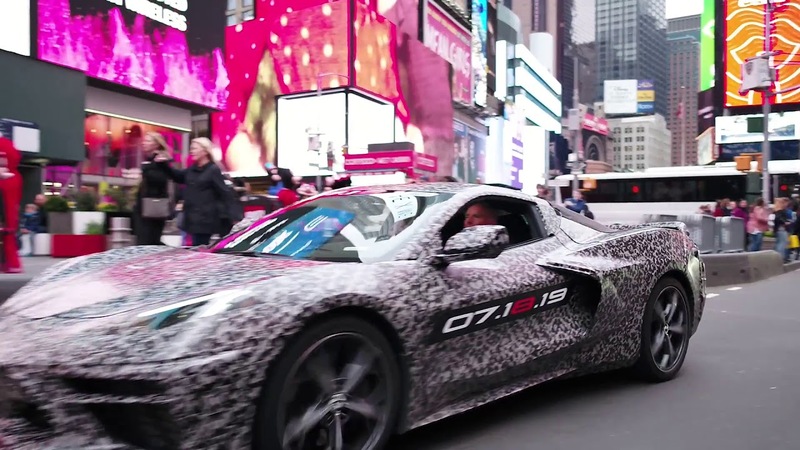 Video brought to our attention by, and with thanks to Keith Cornett (aka CorvetteBlogger). Thanks to “corvettemuseum” for creating the video. Last edited by John; 04-12-2019, 07:19 PM. Watch this video in full screen with the slowest speed. You get to see a lot more details. that door handle seems to be pretty close to "real"
As CorvetteBlogger pointed out, the car in today’s video seems very much like the Nurburgring C8’s from the second week of September. After that, they have been modified in lots of different ways, perhaps because fvs’ renderings were getting too close. yep...I see no real difference in these images from the Ring photos. no doubt there will be some surprises. No sound because it is labeled as B-Roll. B-Roll never has sound with it, as it is meant to be played with sound from another source, i.e. A-Roll. Hard to tell. The splitter may have cleared. However, I couldn't see any air dam. Wonder if the C8 will have an air dam? It was certainly close - clearance is something we'll all need to be aware of in the future (even with the front end lift option). Fun video by the way. Rear glass blacked-out makes me hope engine is exposed. The C8 in the Video appears to have a glass or transparent roof. That transparent, removable(? ), part is covered by plastic-camo. But the out side light can be observed to penetrate the camo-plastic and illuminate Mary and Thadge. Their faces glow in that light from above and exterior. Also in one brief part of the video , from a lower video camera angle, the inside of the roof can be seen. In that shot the exterior-above sourced light is seen to penetrate the roof. Cool. The interior of the roof glows. This model will be filled with light. Will it be adjustable from darker to lighter as need . Some of the Mclarens have passenger compartment "glass" top that can be adjusted to lighter, dark and darker by some sort of switch. Is that expensive or simple tech? See .0:35 --0:39 and 0:54 ---0:57 in the video. Last edited by SheepDog; 04-12-2019, 02:45 PM.